Home » How We Help » Do You Need Help? Everyone faces hard times…. Here in Lunenburg County we are lucky to have a number of organizations in place, providing programs and services, to help us through the difficult times.The following are agencies and groups that are or have been supported by the United Way of Lunenburg County. Here to help and assist the needy, the homeless and the working poor in Lunenburg County. Please call (902) 543-2184. Do you have a child that needs a positive adult role model? Big Brothers Big Sisters may be able to help. Please call (902) 543-4435 for further information. The following organizations can also help you and your family. If you or someone you know has a problem with alcohol, other drugs, or gambling then help is available through the programs offered by Addiction Services. Provides assistance and shelter to women and their children trying to escape abusive situations. For services provided see below. Child welfare services are about protecting children from harm from abuse or neglect, while making every effort to keep families together. Child welfare services include child protection and supports for children in care, including foster care and adoption. Community Services provides a range of community-based, prevention-oriented services to children, youth, and their families. 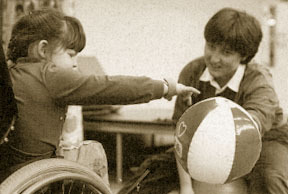 The Services for Persons with Disabilities Program serves children, youth and adults with intellectual disabilities, long-term mental illness and physical disabilities in a range of community-based, residential and vocational/day programs. The Employment Support and Income Assistance (ESIA) program helps by giving you money for living costs, or providing other kinds of help, when you are unable to support yourself or your family. The ESIA Program is where you can turn when you have no other reasonable options. The provincial government offers a number of programs to help lower income households maintain, acquire or rent safe, adequate and affordable housing. We also have grants and loans for home repairs and additions, as well as mortgage funds to purchase or build modest houses. Our programs will be of interest to low-income households, seniors and persons with disabilities. Kids Help Phone is Canada’s only toll-free, national, bilingual, phone and web counselling, referral and information service for children and youth. Staffed by trained professional counsellors with a wide variety of backgrounds including social work, psychology, sociology, and child and youth services. 2 Responses to Do You Need Help? My name is Lender Bowles youth outreach worker at Freeman house in Bridgewater. I couldn’t help notice that your list of services in the area still lists Empire House. Family Service of Western Nova Scotia now occupies the former residence of Empire House and we have changed the name to Freeman House. We would appreciate it if you could update the information on your website. You can call us at 902 543 7444 for any information, or visit our website. Do you have a 2 or 3 line description of your service that I can post?